Applications must be submitted by email to Cynthia Melendrez at [email protected] by 11:59pm. Mountain Standard Time, June 1. It is with great pleasure that we name one of our Association's annual grants The Neila and Candadai Seshachari Faculty Convention Travel Grant. Neila, a Professor of English, passed away suddenly and unexpectedly on Sunday, 10 March 2002. She was only 67. Candadai (known to his many friends as "Sesh") retired as a Professor of English on 11 April 2000. 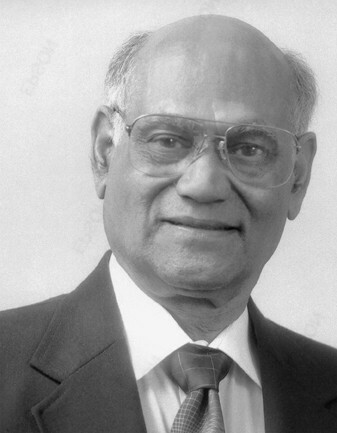 The two emigrated from India in 1960, received their PhDs from the University of Utah, and became valued faculty members at Weber State University, Neila for 29 years; Sesh, for 31 years. In the early 1970s, both became avid members and supporters of the RMMLA, presenting papers, chairing sessions, leading panel discussions, and increasing the active scholarly involvement of their colleagues at the annual conferences. Sesh presented his first paper, "The Question of Violence in Thoreau," at the 1972 conference in Tucson; and Neila presented her first paper, "A Colloquium on the Feminine," at the 1978 Phoenix conference. 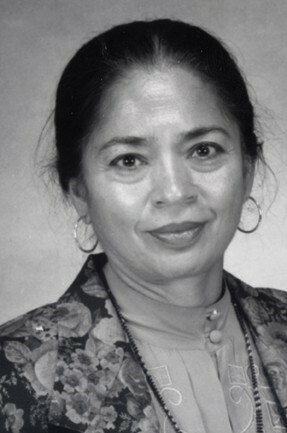 Neila was a Delegate to the Executive Board from 1991 to 1993, and, while contributing substantially in that position, served as the on-site arrangements chair for the successful 1992 convention in Ogden, Utah, hosted by President Paul Thompson of Weber State University. And Sesh, especially in his role as Chair of the Department of English Language and Literature, made sure that an ever-increasing number of his faculty had the travel funds necessary to participate fully in RMMLA's annual conventions. A highlight of each convention was the evening Sesh and Neila hosted their colleagues for dinner and conversation at one of the finest Indian restaurants. It is altogether fitting that we recognize Neila and Sesh's consistently distinguished and long-time service to the Rocky Mountain Modern Language Association by naming the faculty travel grant in their honor. This award provides funding to the RMMLA convention in the amount of $250 to one faculty member (a designation that includes full- and part-time university and college professors, independent scholars and faculty emeriti) who would otherwise experience a financial challenge traveling to the convention to present a paper accepted for any one of the regular or special topic sessions held that year. One runner-up award provides a waiver of the applicable convention registration fee. The deadline for submission is June 1. Please see below for submission guidelines. Because funding is limited, the committee can only consider complete applications received by the June 1 deadline. Applicants must be current members of RMMLA and have a conference paper based on original work accepted to a session at the upcoming RMMLA convention. A complete application contains a cover letter no more than two pages long, a copy of your paper proposal and a copy of your acceptance email from the chair of the session in which you will be presenting (if any documents were originally written in a language other than English, please include the original version and an English translation). The cover letter should contain a short biographical introduction, an explanation of why you are requesting funding and how you intend to use the grant money, and a brief statement of what your paper offers to the convention. Please be sure to situate your research within the scholarly context (for example, with references to current research on the topic) and to highlight the originality of your research and its contribution to the scholarship in your field. You may also discuss the impact that receiving financial assistance to attend the RMMLA convention will have on your personal and professional development. The selection committee will consider the above information as well as coherence and style when assessing the applications. Awardees must attend the conference, pay RMMLA dues and convention registration, and present receipts showing $ 250 in travel expenditures to the Executive Director at or following the convention in order to receive the $ 250 reimbursement. RMMLA Executive Board reserves the right to vacate the award in any year that sufficient quantity or quality of submissions is not received by the announced deadline. The Executive Board’s decision will be announced on the website. After the initial acknowledgement of submission, correspondence is not maintained with applicants throughout the process. All application materials must be received by 11:59 pm. Rocky Mountain time on the date of the deadline. Announced deadlines will not be extended.